If you’re a regular Run Oregon reader, you probably know that we love shopping local, especially supporting our local running stores. We count on them for putting on amazing races, carrying great gear, but most importantly, guidance on selecting the right shoes and running clothes. They keep us connected and help us avoid injuries, and offer a place where all runners can find someone to count on. 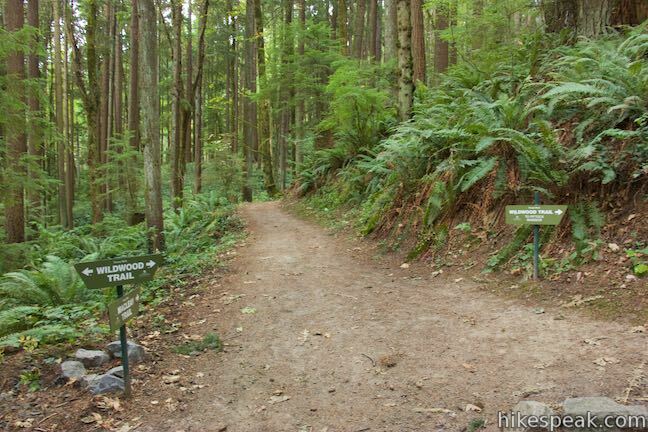 Run Oregon readers: What are the best running shoes for trails? Trails are beautiful, peaceful, and wonderful fun places to run. Trails are also muddy, rocky, root-laden playgrounds that necessitate a perfect marriage between foot and shoe. Keeping both in mind, it’s necessary to try them on in-person and ask our experts. Your foot is unique. Your foot is a snowflake of fascia and phalanges. So try on as many as you can. Protection, stability, durability top the attributes of a trail shoe. Hike’s Peak photo of Wildwood Trail. Run Oregon readers: What’s your favorite sock? You first must ask yourself, “Natural fiber or synthetic?” As someone who abhors blisters, I’m naturally a little biased towards a brand like Smartwool. Amazing breathability, great temp regulation in all weather (yes, warm weather too!) and amazing in wet weather. Plus, they just don’t stink! Some other favorites are Balega and Feetures. Balega sure does have a pillowy feel despite many washes. But one thing is certain, no Oregon runner should be running in cotton … especially this time of year! RunOregon reader strugging to stay dedicated to fitness in the rainy fall and winter: I really want to make 2019 the best running year yet. How should I go about making goals and sticking with it? When narrowing down what goal to set, be S.M.A.R.T about it. SPECIFIC, MEASURABLE, ATTAINABLE, REALISTIC, and TIME BASED (pick a time in which to complete it). The Foot Traffic Event Expo is a great place to find your specific goal. That’s a GREAT start. But how about following through and making it attainable and measurable and time based? 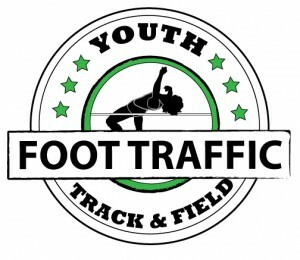 I highly recommend joining a group like Foot Traffic University or Foot Traffic Women’s Academy. Seriously. These are the BEST and some of the largest groups with the most varied paces in Portland! Just join and you’ll know why after 3 weeks! They both have pace leaders for per-mile paces of 8 min, 9 min, 9:30 min, 10 min, 10:30 min, 11 min, 11 min walk/run combo, 12 min walk/run combo, 13 min walk/run combo, 15-16 min walk, 16-17 min walk, and 17 min and over walk. No matter where you are starting, you will find encouragement and support in this no-judgement group. There’s even a facebook group for each group for members to stay in touch and find training partners for their mid-week runs if the Foot Traffic group runs aren’t feasible with your schedule. Best of all, these professionally-coached programs are affordable. 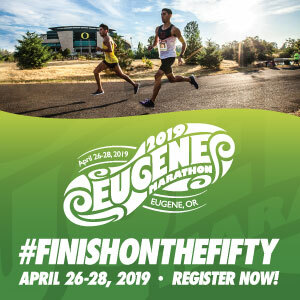 The half marathon program is $95 ($70 for returning FTU members), the 10k program is $60 ($50 for returning FTU members), and the 5k is $45 ($40 for returning FTU members). The goal races for the three distances are the Flat Half on July 4th, the Hop Hop 10k on April 20, and the Shamrock Run 5k on March 17. This feature is sponsored by Foot Traffic. Run Oregon would like to thank them for their support of our efforts to connect the running community in Oregon and SW Washington!